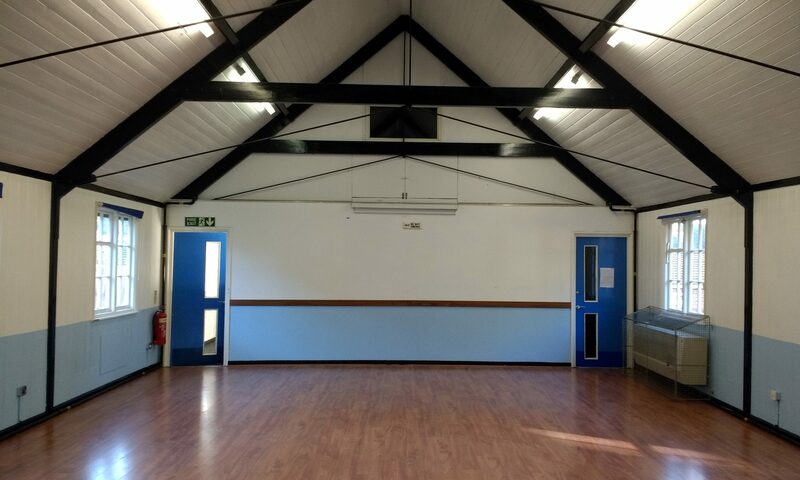 An original 1930s hall for hire in Morden. Attractive two-toned wood panelling and exposed beams. A warm, versatile venue with good transport links to London. The hall is approximately 12.7m long and 7m wide. It can seat a maximum of 87 people in rows and 58 people around tables. 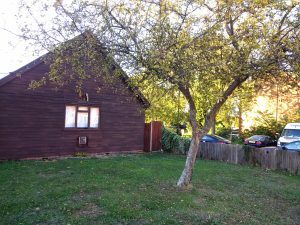 There are two unisex toilets, one with disabled access and baby changing facilities, a small kitchen with gas cooker, microwave and coffee making facilities. There is also an enclosed garden area. The use of chairs, tables, kitchen, and display screen is included in the price. Use of a projector and sound system can also be arranged at extra cost. 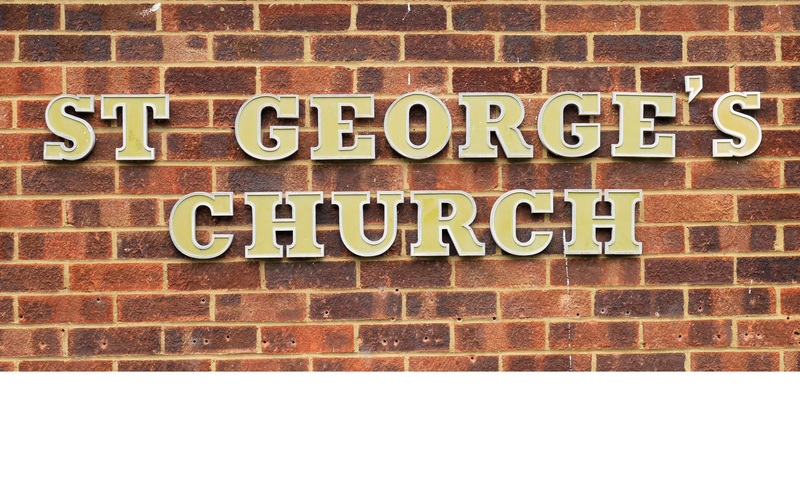 The hall is located in Morden, next to St George’s Church on Central Road (SM4 5RJ, Map). 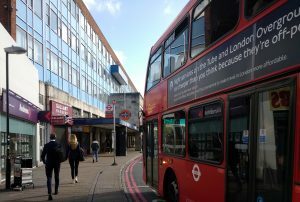 There are good transport links with Morden Tube, St Helier Train station and various bus routes nearby. Read directions. The adjacent church has 6 parking spaces, which can be used upon request and there is plenty of on-road parking after 4pm. There is flat access to the Hall for disabled users. Read more. 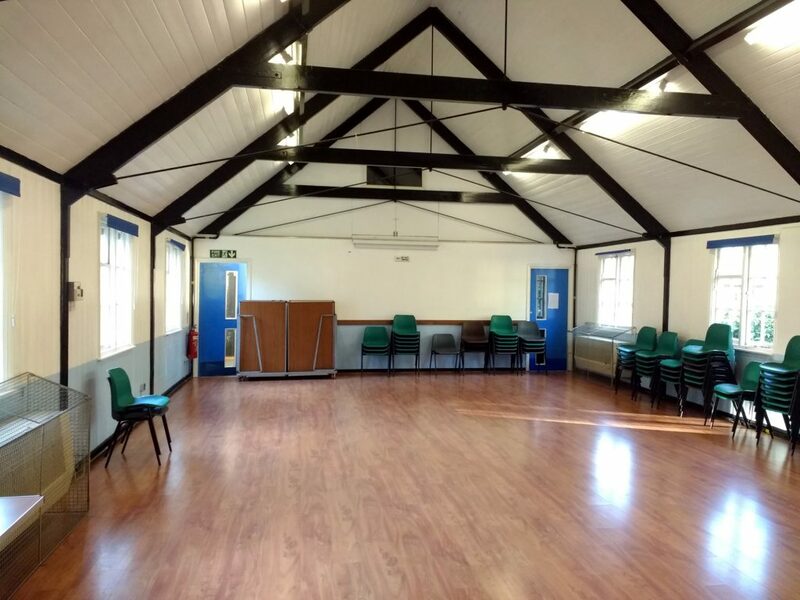 The character and versatility of the hall make it suitable for a variety of activities, including events, meetings, music rehearsals or concerts, keep fit or exercise classes, educational training or filming. We regret that we do not accept bookings for adults’ parties; only children’s parties. For certain performances and live music, an Event License must be obtained from the Local Council. Read More. Own cleaning and disposal of rubbish is required. 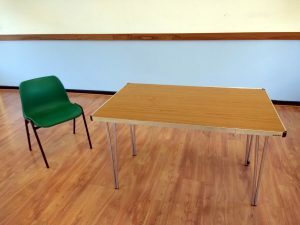 The availability of the hall for hire depends on existing regular bookings and staff cover. We have some availability on weekday evenings for regular users. Saturday bookings are limited. The hall is not available on Sundays or after 9:30pm on any day. 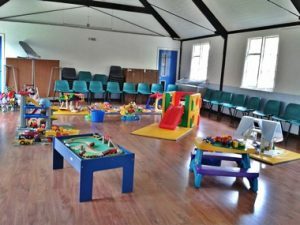 The hall is hired at a competitive hourly rate and discounts are offered for regular community group users. A deposit is required at the time of booking. This will be refunded after the hire period, provided that our hire agreement has been kept. For one-off use, the minimum booking time is 3 hours and for regular or community bookings, it is 1 hour.